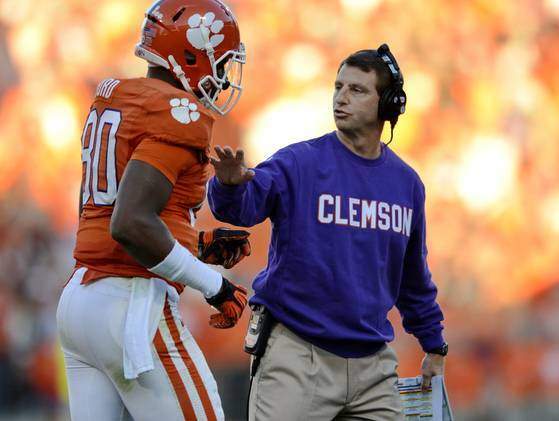 Clemson head football coach Dabo Swinney makes a little over $2 million annually. He could be making even more except for the fact that he has transferred incentive based raises to his assistant coaches. His coaching staff has a joint payroll of $4.2 million, making them one of the highest paid groups in the nation. Their boss is the 39th highest paid head coach. Swinney looks at his revenue sharing as an investment in his overall program, compensating his staff for their efforts toward a common goal. The Tigers head coach makes approximately one third of his school's football payroll, compared to Nick Saban, who makes 58 percent of Alabama's football payroll. While it is true that Swinney has not accomplished all that a Saban and others have, it is enlightening to see a coach in such a high-dollar environment willing to reward the successful efforts of his coaches out of his own pocket.